Do you feel terrible but your doctor says all of your tests are fine? Do you want to finally find out what is happening for you and do something about it- so that you can feel great again? Do you want to take proactive steps to secure your health and wellness and reduce your chances of getting sick? The Functional Medicine process is relatively simple: First, identify which of your key underlying systems isn’t working correctly; second, remove the causes of imbalance in each one of those systems; and then third, nourish each of these systems with what it needs to function optimally. Then, your body’s natural intelligence takes over and restores balance to each system. There really is no better health screen that is more efficient than a comprehensive blood test. It will also establish a baseline that can be used to track a person’s health over time. When performed along with a comprehensive health evaluation it provides both the professional and the client peace of mind knowing that a thorough screening has taken place. 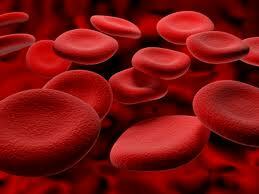 When interpreting blood chemistry lab results, there is a Functional Range and a Pathological Range. Test values that fall between the Functional Range and the Pathological Range are considered sub-clinical and can indicate the beginning stages of disease. They should be used as markers, indicating something that is not as good as it should be; or they can be a sign of a developing condition that is not bad enough to treat medically…at least not yet. Most health practitioners today use only the Pathological Ranges and do not address the sub-clinical findings until they become a serious medical condition. The goal is to identify developing nutritional problems and prevent them from manifesting into a serious medical condition. This will help us on our path to true health and a better quality life. Diseases such as diabetes and cardiovascular disease are merely a cascade of symptoms indicating bodily imbalances. A person’s state of health should be monitored regularly. Doing so can significantly reduce the risk of developing many common disorders that plague our society today…such as…heart disease, cancer, diabetes/blood sugar imbalances, liver and thyroid conditions, kidney disease, stroke, anemia, vitamin/mineral deficiencies, hormonal imbalances, fatigue, abnormal weight gain, mood imbalances, bone loss, sexual dysfunction, memory impairment, and so on. There is no better time than right now to take the necessary steps to scientifically prevent future disease and achieve optimal health and well being! If you already have a recent blood test, or would like to use your primary doctor and insurance to order your tests, just submit your test results to the email address provided after completing the purchase. raSa health will perform the analysis and provide you with a comprehensive Functional Analysis report. If you wish to be referred to our nationwide laboratory provider, you will be provided with instructions on how to arrange for the required blood work at a time and location you choose after you complete the purchase. Upon receiving your test results, raSa Health will perform a Functional Blood Chemistry analysis and provide a comprehensive report for you. "Our passion is health…because your passion is living"